We've gone digital! Our weekly mailer is available at www.midwesttapes.com. Now you can peruse our Weekly right from your screen with a slew of interactive features. 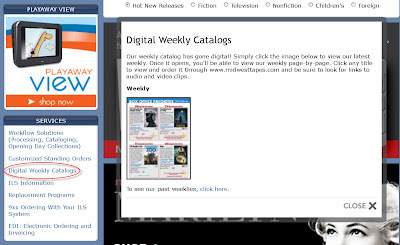 Located under "Services" on our homepage, you can view current and archived issues. Check out this week's Weekly here. Want to be notified whenever we post our latest Weekly online? Subscribe to our email list now.